CACI International (NYSE: CACI) has withdrawn its bid to purchase CSRA (NYSE: CSRA) for $44.00 per share in cash and stock, or approximately $7.2 billion. “We will continue our aggressive pursuit of strategic opportunities, judiciously and without engaging in auctions at uneconomic levels,” CACI CEO Ken Asbury said in a statement published Wednesday. 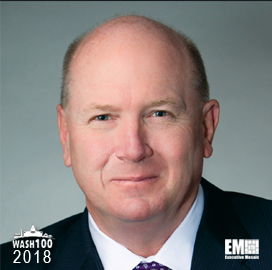 Asbury, a 2018 Wash100 recipient, noted that the proposed combination would have established a “pure play” in the federal information technology platforms and services market and that CACI’s confidence in the transaction was informed by its years of experience in mergers and acquisitions. J.P. Morgan Securities and Gibson, Dunn & Crutcher respectively served as financial and legal advisers to CACI in the proposed deal. CACI’s decision came a week after General Dynamics (NYSE: GD) decided to increase the value of its acquisition offer for CSRA from $40.75 per share to $41.25 per share, or approximately $6.9 billion in cash, and assume $2.8 billion in net debt under an amended merger deal.